Discover more about CAS with these trade magazine articles, publicity clips, and our own press releases. Cast Aluminum Solutions is frequently featured in respected trade magazines, often with details on how CAS heaters fit with specific applications. Check the below links to get a clearer picture of why CAS and our products are so well-respected. Cast Aluminum Solutions Wins Manufacturer of the Year! 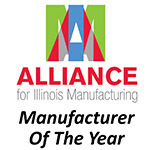 CAS was awarded “Manufacturer of the Year” by the Alliance for Illinois Manufacturing. This prestigious award is a reflection of our commitment to our employees, our products, and our customers. Check this article from the Chicago Tribune. 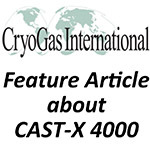 A leading cryogas publication highlights the CAST-X 4000 and its use in air separation & gas heating applications. This article explains the key benefits of CAST-X Circulation Heaters in heating industrial gases. 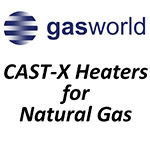 See how CAST-X Circulation Heaters are being deployed in today's emerging natural gas applications, and how specialty inline heaters such as PUR-X fit unique heating requirements. 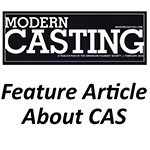 Cast Aluminum Solutions is Featured in Modern Casting magazine. CAS is featured in Modern Casting with an in-depth article highlighting CAST-X Circulation Heaters, our innovative semiconductor products, and our leadership in providing precision-engineered thermal products. 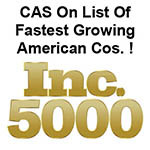 CAS Listed on Inc. 5000 List of America’s Fastest Growing Private Cos.! CAS is pleased to announce it has been included on the Inc. 5000 List of America’s Fastest Growing Private Companies for 2018. This prestigious list highlights private companies that have demonstrated substantial growth in America’s most dynamic market segments. CAS announces the release of our new PUR-X Circulation Heater line, featuring removable PFA flow-tubes, for contamination-free heating applications. 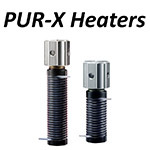 Available in two sizes, PUR-X units are particularly well-suited for semiconductor and medical applications. 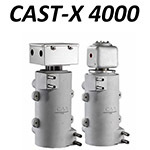 The CAST-X 4000 from Cast Aluminum Solutions is our highest-power circulation heater yet, with a maximum output of 60 kW. Heated media is isolated in dual 1 inch flow-tubes, for safe heating of natural gas, aerospace fuels, and other flammable media.